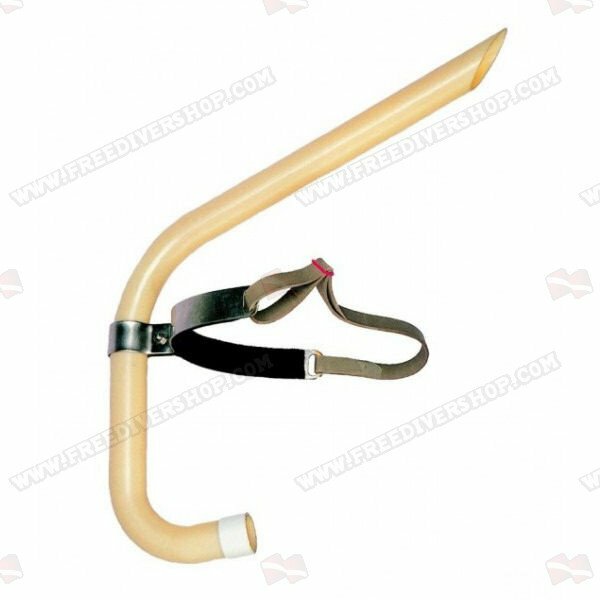 High quality finswimming frontal snorkel from Leaderfins. Specially designed for finswimmers. Equipped with a comfortable stainless steel fixing system. Snorkel diameter is 25mm. High quality finswimming frontal snorkel from Leaderfins. Equipped with a comfortable stainless steel fixing system. Item may be supplied in Blue color - depending on availability.